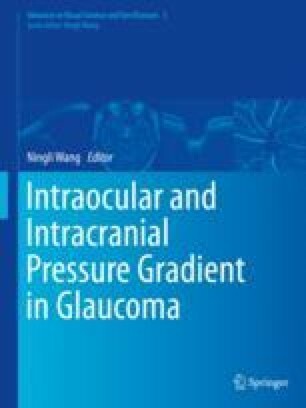 In clinic, “deep” vs. “shallow” cupping is well established in human glaucoma. Our central hypothesis is that the “shallow” or senile sclerotic cupping of aged eyes is a manifestation of their stiffer connective tissues. We predicted that there are age-related differences in structure/function relationships. The relationship between the magnitude of laminar deformation and visual field loss will be different in young (“compliant”) eyes compared to old (“stiff”) eyes. The authors thank Juan Reynaud, Cindy Blachly, and Michael Whitworth for their SDOCT technical support (JR) and clinical imaging of the P3 participants (CB and MW). Supported by National Institutes of Health (NIH)/National Eye Institute (NEI) Grant R01-EY-019674 (SD); Legacy Good Samaritan Foundation; Carl Zeiss Meditec; NIH/NEI Grant R01-EY021281 (CFB); and Heidelberg Engineering, GmbH, Heidelberg, Germany. Claude F. Burgoyne is a consultant to Heidelberg Engineering. The above listed sponsors/funding organizations had no role in the design or conduct of this research. The text and figures of this manuscript have appeared previously in our own work: Ren R, Yang H, Gardiner SK, Fortune B, Hardin C, Demirel S, Burgoyne CF. Anterior lamina cribrosa surface depth, age, and visual field sensitivity in the Portland Progression Project. Invest Ophthalmol Vis Sci. 2014;55(3):1531–9 . They have been partly used with permission and edited for this chapter.